MAPS was pleased to have Mr. Bob Redfern of the Military Collectors Television Series visit the museum on June 20th. 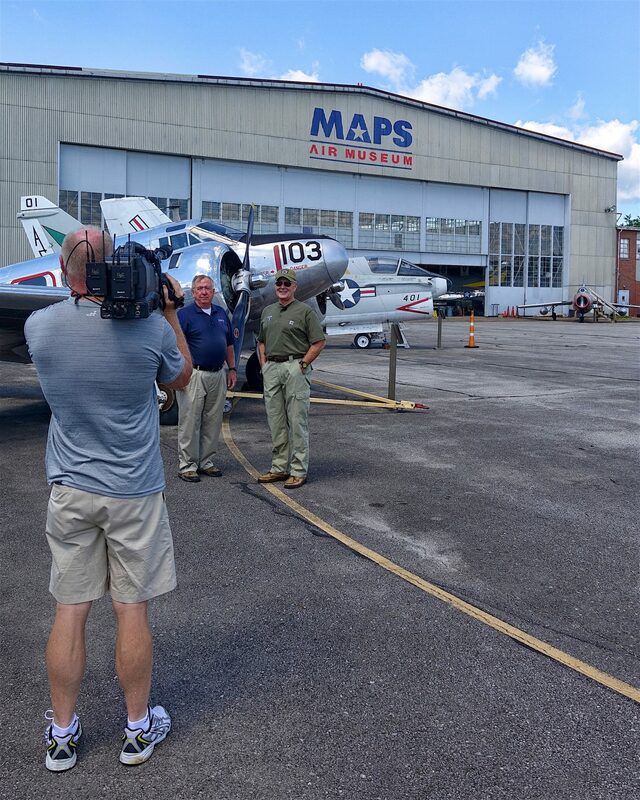 Mr. Redfern shown in these pictures along with Mr. Reed Kimball the Education Director here at MAPS, was filming for a feature on the MAPS Air Museum for his show that will air in December of this year on the Pursuit Channel. More information on the show will be provided at a later date so “Stay Tuned”. MAPS also sends a big Thank You to the Fairfield Inn and Suites – Canton South, located at 4025 Greentree Ave, Canton (330-484-0300) for providing the accommodations for the TV crew while they were here in town.